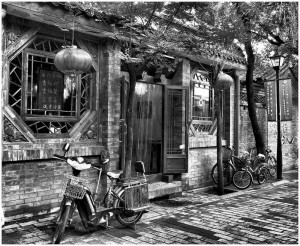 Anyone who lives in Beijing for a certain amount of time will eventually feel the need to find furniture or even sometimes to do some home renovation work. Westerners can feel a bit lost if they rely only on the indications given by the various magazines and websites about Beijing, that give addresses scattered all over the city or are just limited to international brands. Once again, this is going to be an opportunity to realize how huge Beijing actually is, with its population that has risen at high pace during the last decades, now over 18 million people. People had to furnish, decorate, renovate millions of apartments in a rather short time span, furniture companies in the south of China operated full speed just to deliver beds, tables, sofas, chairs, tiled floors, wooden decoration, bathrooms, kitchens, furniture of all kind fitted every social class and quality requirements. 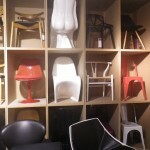 Chinese people do love strolling in the IKEA Beijing shop and other cool foreign places. This is a familial recreational walk to enjoy a nice Sunday afternoon wandering in installation with exotics transcripts in Chinese of even more exotic Scandinavian names. Whatever happens, it seems almost out of question to buy anything in what is rather perceived as a Theme Park about furniture. Then, you may ask, where is it happening for real? 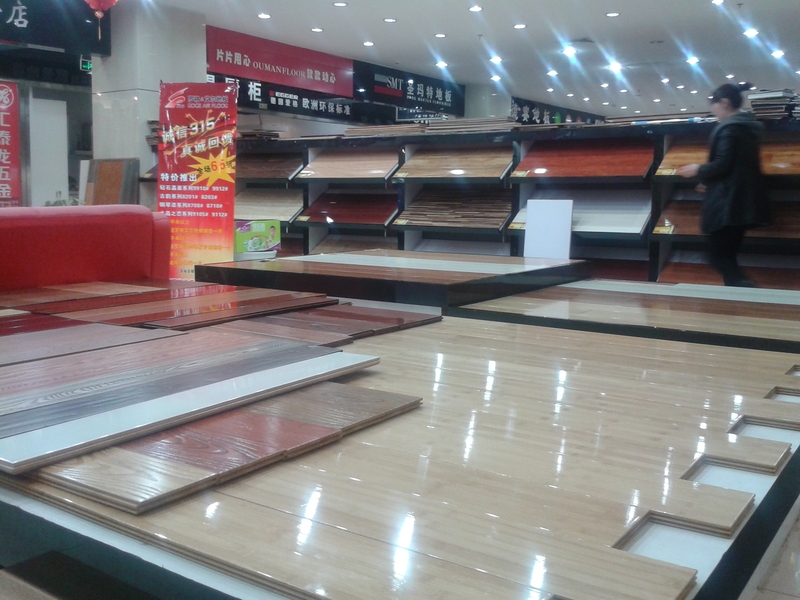 Where do the Beijing city dwellers actually buy their furniture? This article’s purpose is to answer this question, and it will answer an even more crucial question: where is the best place in Beijing to buy furniture? The answer is simple: there is, as always in Beijing, you’ll find there is a popular specialized neighborhood, organized as a network of huge shopping malls embedded within other huge shopping malls as a kind of gigantic maze spread on several floors. You are indeed in China. This place is called Shilihe (十里河). And be aware that when we say this is a huge place, it really means this is a huge place. Extended at the south-east of Shilihe subway station, located on line 10, the Shilihe Village, “Shilihe Cun”, is centered on Dayangfang Street (大羊坊路). When you walk down the street you’ll see those huge shopping malls on your right and on your left, all of them entirely dedicated to furniture and home decoration. And when we say that you can find everything there, it really means you can find everything. Do not be turned away by the first impressions. 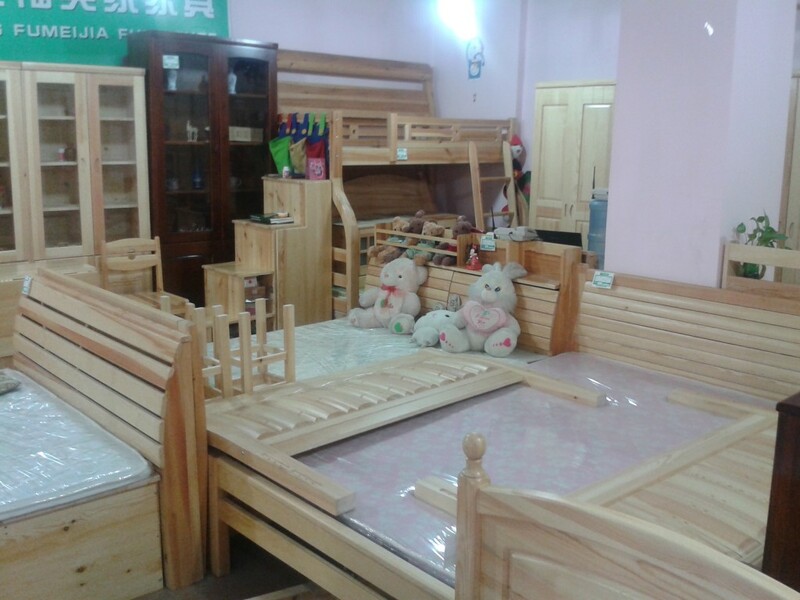 Many shops display furniture with styles that correspond to what many among the Chinese emerging middle class consider to be the western modernity. You are entering the kingdom of kitsch. You will see opera chandeliers with a weight of several tons and cascades of glowing glass beads, marble staircases guarded by roaring stone lions, sofas with design that are difficult to define, somewhere in between a 1930s Louisiana bordello version of Spanish baroque and the mansion of a megalomaniac petrol monarch at the end of his reign, living rooms with a Venetian-Victorian-Turkish-classical style and touches of French rustic style that would have been through a strong influence of Vienna waltzes arranged for a Broadway musical about The Arabian Nights. Another question you will ask yourself is the quality of the stuff there. Actually, the factories and workshops that provide Shilihe with furniture are exactly the same than those that provide the large global brands. They are highly skilled, they have the know-how to do good quality stuff and Chinese taste is evolving. These are the reasons why you will find all kinds of furniture and many very beautiful things to decorate your apartment in Beijing. As it is often the case in China, there is counterfeit copies, but fortunately, you’ll find as well that a large number of original shops have created their own brands and hire original designers. Many foreign brands are present inside the malls with authorized retailers. So be brave, be curious, and try to find a good pair of walking shoes. Above everything else, concentrate yourself to remain constantly at your top bargaining capacity. This article is going to be the first of a series about Shilihe, so we just give a quick insight of two large shopping malls: JiaHeJiaMei and Gaoli International. 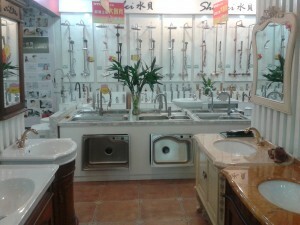 Later on, we’ll try to give you more details about Shilihe and its commercial centers, each of them with different specialties, and some indication about the shops and craftsmen’s workshops that are located at the rear of the main shops on Dayangfang Street, places where you may have the chance to make better deals. Three malls in one ! This mall extends itself on three floors. 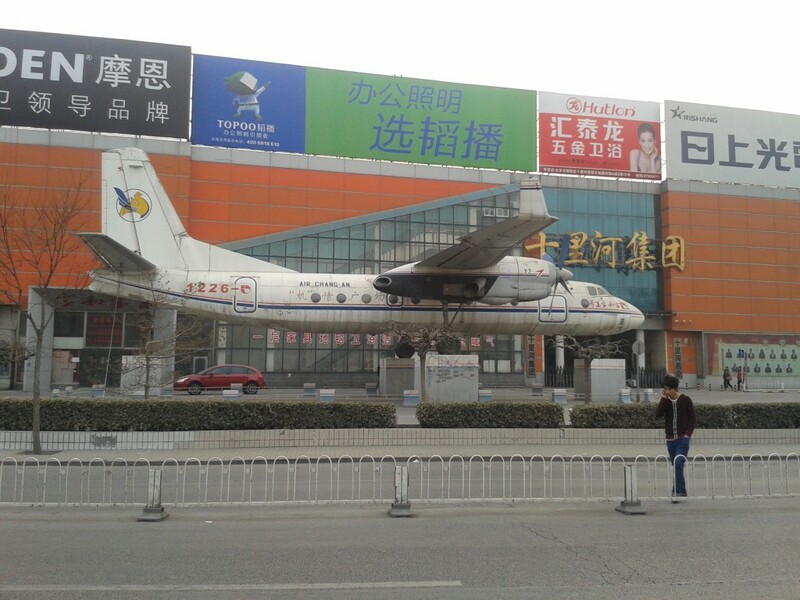 You can begin to visit it through the south entrance and walk inside the mall at the level of the real “Chang’An Airways” plane which is displayed in the street (we have to find out why). Bathrooms, plumbing fixtures, wooden floors, tiles, tiled floors, kitchens, windows, gas ranges, wallpapers, banisters, doors. Lights, lamps, spots and chandeliers. Note the presence of some brand retail shops : Philips and Panasonic for example. At the end of the second floor you’ll find other wooden floors and mirror shops. 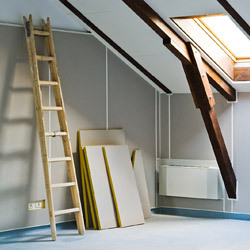 Curtains and blinds among other things, in the widest available range of styles and varieties. Several malls are linked with JieHeJieMei ; overall this constitutes a real labyrinth! The last part of the mall is located on two different floors. 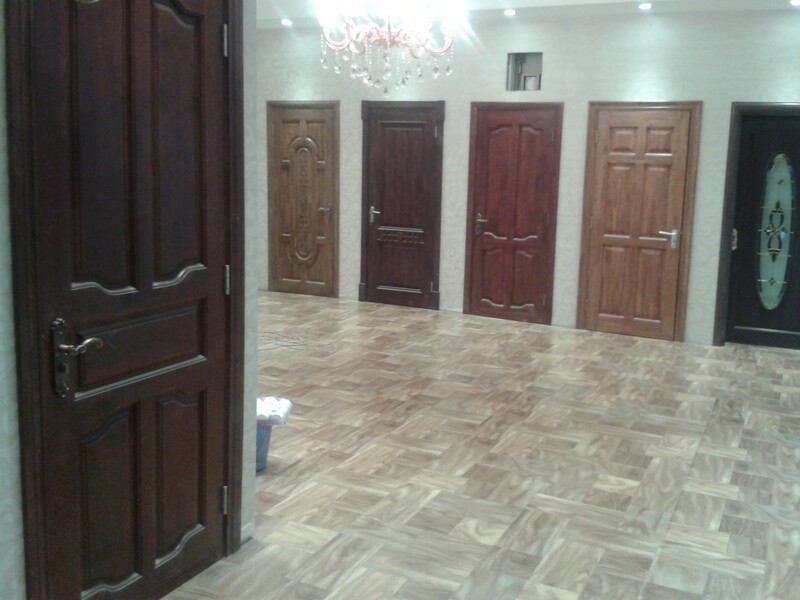 On the ground floor, you have a large selection of bannister retail shops, shops specialized in doors and accessories such as door handles. Next to these, you’ll find many shops selling mirrors and frames. A bit further, a wide range of carpets with different sizes, styles and colors. In the middle, a large display of sofas (you can change the fabrics, leather and colors). Living rooms, beds, wardrobes and cupboards are displayed on the exterior alleys. You can access the second floor thanks to somehow hidden stairs! Along the corridor leading to the staircase you’ll find different paintings and pictures (including replicas of the Mona Lisa. Yes, we told you can find everything there). On the second floor, you’ll find office furniture and more living rooms: tables, chairs, desks (including desks for children). Children bedroom furniture is displayed at the end of this floor. When you go out, you find yourself back again facing the “Chang’An Airways” airplane. If you cross the road you’ll enter the Shopping Mall dedicated to lights “ Goali International”. 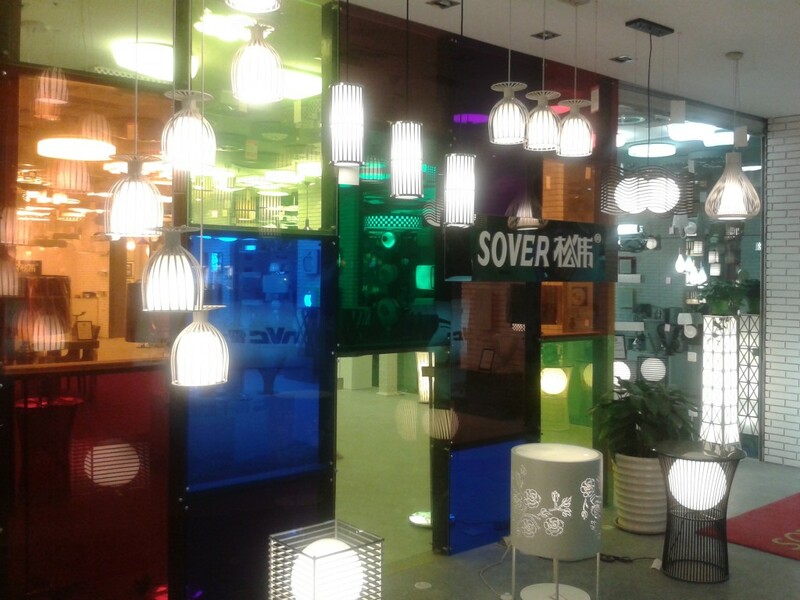 A Shopping Mall for lights and lamps “ Gaoli International”. This mall is 4 floors high. 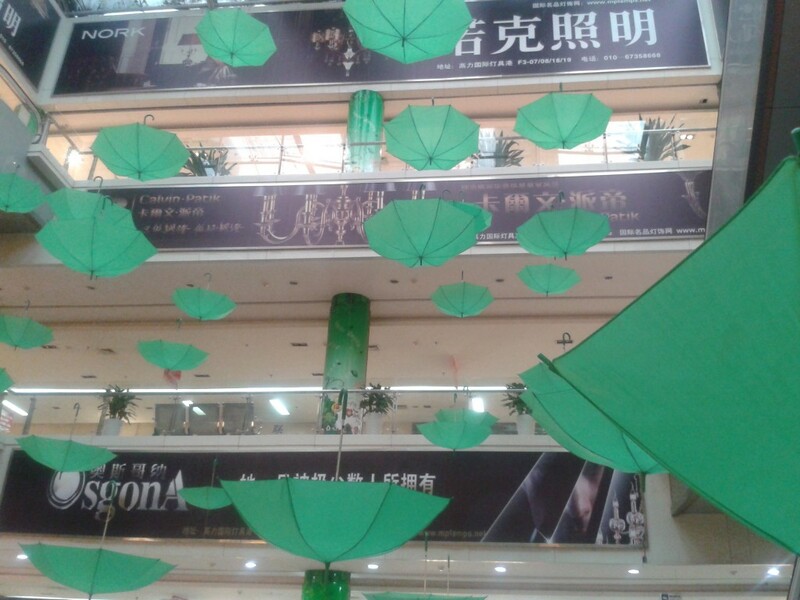 When we visited it was decorated with green umbrellas hanging in the air. You’ll find all kinds of lights; this is the specialty of this mall. You can hang around during a whole day if you don’t precisely know what you are looking for. 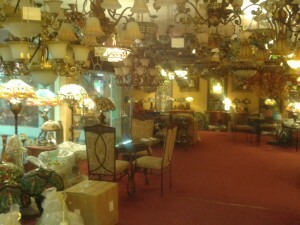 Depending on the shop, you’ll find contemporary style or Chinese traditional lantern style lamps. Interior decorative items are available as well, such as porcelain vases, fountains or Chinese style stuff. Be careful : the prices can be bargained. Even if there is a written price, discussion is always possible. Delivery is possible, it is possible to ask the shop directly. The delivery cost can be around 50-80 yuans, depending on the distance and the size of what you’ve bought. do they do delivery to singapore and what are the shipping charges like?